Brand-new, move-in ready home for sale! Be one of the lucky few to be able to take advantage of this limited opportunity to own a home in one of Winter Haven's most sought after new communities. This spacious home sits on a spacious 0.24-acre home site in a cul-de-sac. The interior welcomes you with a stylish stone-accented exterior and has an open concept kitchen, dining nook, and large family room. The kitchen features plenty of counter and cabinet space, and a pantry. This home comes fully adorned with black Whirlpool dishwasher, smooth-top range, microwave, and side-by-side refrigerator, beautiful 36 twlight birch wood cabinets which are staggered with crown molding on upper cabinets and come with decorative knobs and pulls, HD laminate countertops throughout the home for a stone-look with durability and low-maintenance (with a beveled edge in the kitchen), stylish and 18"x18" ceramic tile flooring in the kitchen, nook and foyer areas, decorative wall tile in all full baths, 5 1/4" baseboards throughout just to name a few. The large Master suite is conveniently located downstairs for easy access and three bedrooms upstairs plus a loft provide endless possibilities. 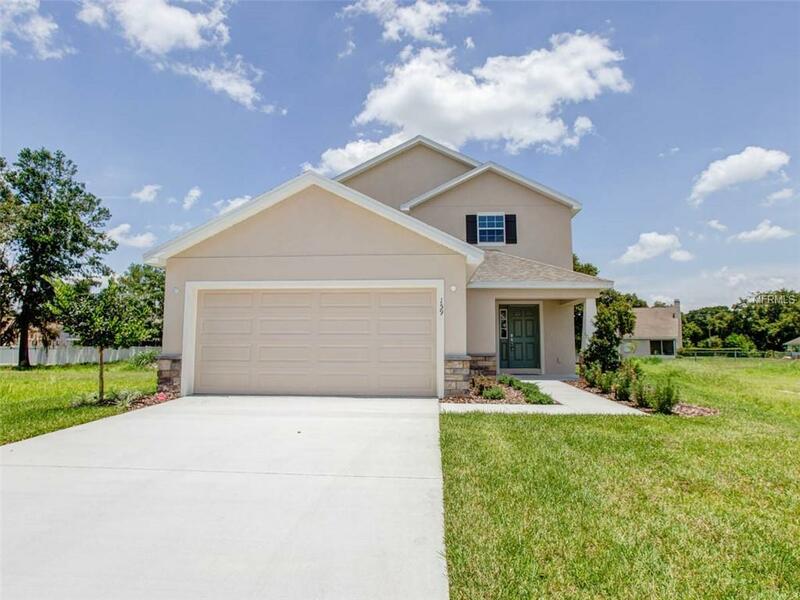 Eloise Oaks is located just 2.5 miles from Legoland and only 5 miles from downtown Winter Haven, so you're close enough to everything for convenience but far enough away from it all to not feel crowded. It's the perfect balance! Call today to come out and see this gorgeous home before it's gone! Listing provided courtesy of Cambridge Realty Of Central Fl.